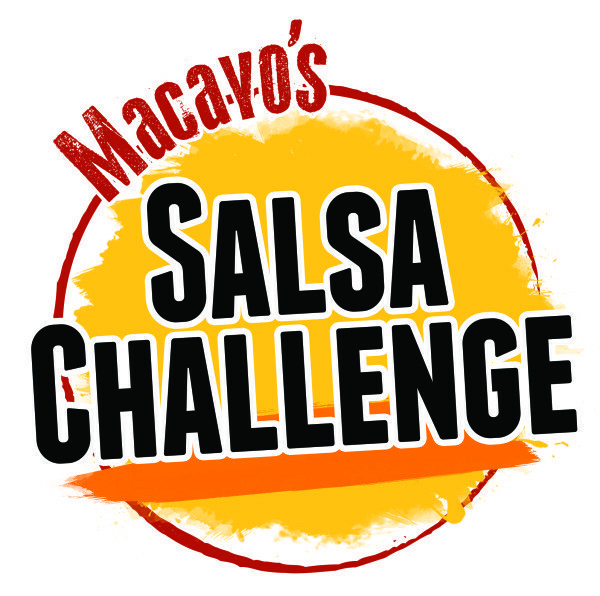 Each year, Macayo’s hosts an online salsa competition, creating a space where home chefs are able to submit their favorite family salsas. These salsas are then showcased at the My Nana’s Salsa Challenge at Tempe Beach Park benefiting the Arizona Hemophilia Association as one of their largest fundraisers for people with bleeding disorders. Out of numerous entries in 2013, Suzette Zara had two salsa recipes that made the top three which were chosen by a panel of judges. 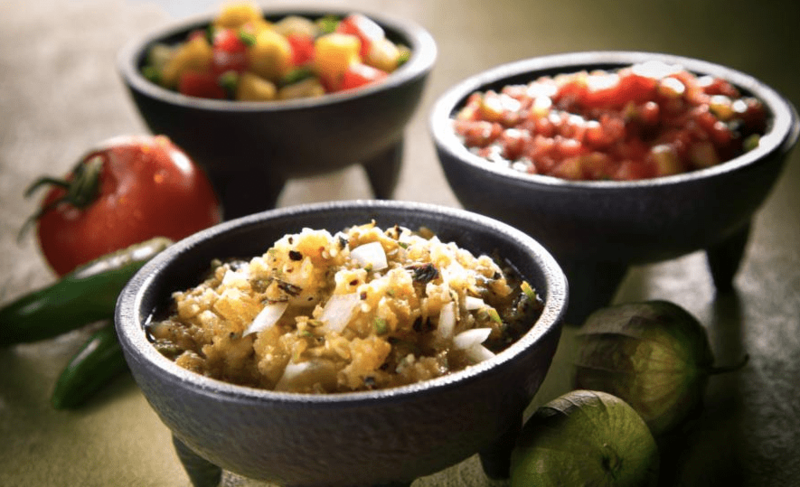 We are excited to feature these salsas along with other unique recipes on our Summer Salsa menu (launched in July 2013). Be sure to check out the video above to hear about why this is such an important event for the Arizona Hemophilia Association. Suzette Zara tells us a little about her two recipes that made the top 3! You can try making these salsas at home – see the recipes listed below. This light, fresh summer salsa blends the unique flavors of pineapple and pecans. The jalapeno peppers add a slight touch of heat, while the nuts add a nice crunch to this amazingly delicious fruity salsa! It is fantastic served on its own with chips for dipping, or as a topping over grilled fish, chicken, shrimp, pork and tacos. Pineapple-habanero salsa can be very hot, so try lowering the heat level with green chilies to make the recipe more family friendly. This sweet salsa reels you in and then lets you feel the spicy heat of the green chilies. This is a great salsa with chips or it can be served over grilled chicken or burgers. Canned pineapple can be used, but you may need to adjust the amount of juice and honey. 2. In a blender add Anaheim chiles, pineapple, pineapple juice, garlic, lime juice and salt. Blend until smooth but slightly chunky. This simple salsa contains only 5 ingredients, but it is bursting with flavor from the roasted jalapeno peppers and garlic. Quick and easy, it is great for dipping chips &amp; dipping veggies, or as a topping for fish, chicken, shrimp, tacos, or drizzled over enchiladas! 1. Roast jalapenos and garlic until soft and golden brown, let cool. 2. Place roasted, cooled jalapenos, garlic, salt and lime juice in a blender. Blend several times until finely chopped. While blender is running slowly add vegetable oil into mixture. NOTE: if salsa is too thick add water by a tablespoon at a time to thin out. Do you have a delicious salsa recipe? You have a few more days to enter your recipes! Enter your recipe by Saturday, February 21st for a chance to win! 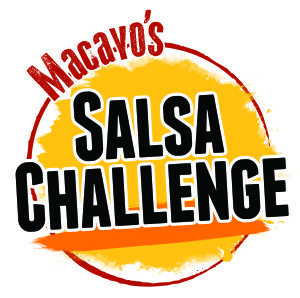 1st place winner will receive Macayo’s for 1 Year AND compete with us at the My Nana’s Best Tasting Salsa Challenge March 7th and 8th! This year the top 5-10 contestants will compete for our judges on Saturday, February 28th at our Scottsdale location. The judges will taste the salsas and select the winners! My Nana’s Best Tasting Salsa Challenge is a two day-long festival featuring the #1 condiment in America…SALSA! Check out some of the great recipes already entered!